White Transparencies and Gradients can be a powerful feature, when looking to maximize the use of white ink capabilities. It can be used to create frosted glass effects, unique graphic transitions, and versatility to the specialty ink set. This document explains how to do advanced file preparation for UV printers, such as gradients and halftones/raster for gloss and white. The following document covers the step-by-step instruction on how to create a shrinkwrap prototype with VersaUV printers. The following document covers the White and Gloss workflow for VersaWorks and Roland UV Print Devices. This guide explains procedure for adjusting the bidirectional calibration for VersaUV inkjet devices. Maintenance checklist for the LEC-300, LEC-300A, LEC-330 and LEC-540. VersaUV Print Head Maintenance Guide. This document overviews best practices for maintaining print head quality on the VersaUV products. Guide for VersaUV product line: LEC-330/540, LEJ-640, & LEF-12i/200/300. EUVS-CY, EUVS-MG, EUVS-YE, EUVS-BK, EUVS-WH Safey Data Sheet. EUV3-CY, EUV3-MG, EUV3-YE, EUV3-BK, EUV3-WH, EUV3-GL Safety Data Sheet. EUV4-CY, EUV4-MG, EUV4-YE, EUV4-BK, EUV4-GL, EUV4-WH Safety Data Sheet (SDS). Users Manual for the BOFA unit. For LEC-300/330/540 & LEJ-640 and LEJ-640FT. This guide outlines the procedures for creating perforated cuts and fold/crease lines on the LEC series printer cutters. Hoja De Datos - PrintPRO Base para EcoUV impresora. LEC Series Product Photo, featuring 300A, 330, and 540. Zip file contains a new profile for LEC-540 with Eco-UVS inks. This new profile produces a smoother print surface. Zip file contains a new profile for LEC-540 (CMYKGG ink configuration) with Eco-UV inks. This new profile produces a smoother print surface. Zip file contains a new profile for LEC-540 (CMYKWhGl ink configuration) with Eco-UV inks. This new profile produces a smoother print surface. Zip file contains a new profile for LEC-540 (CMYKWW ink configuration) with Eco-UV inks. This new profile produces a smoother print surface. This document describes the procedure to install the LEC-300, LEC-300A, LEC-330, LEC-540 and LEJ-640 with EcoUV S inks. This manual (PDF) lists step-by-step instructions for creasing and perforated cutting using VersaWorks and outputting to a CAMM-1 GS and VersaUV LEC-540. 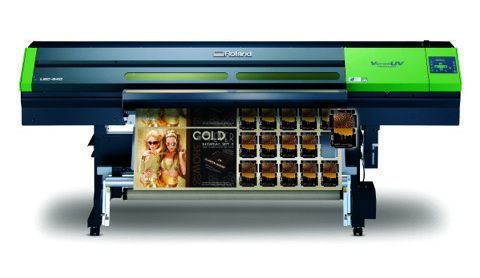 Roland maintenance video for the LEJ-640, LEC-300A, LEC-330 and LEC-540 printers. 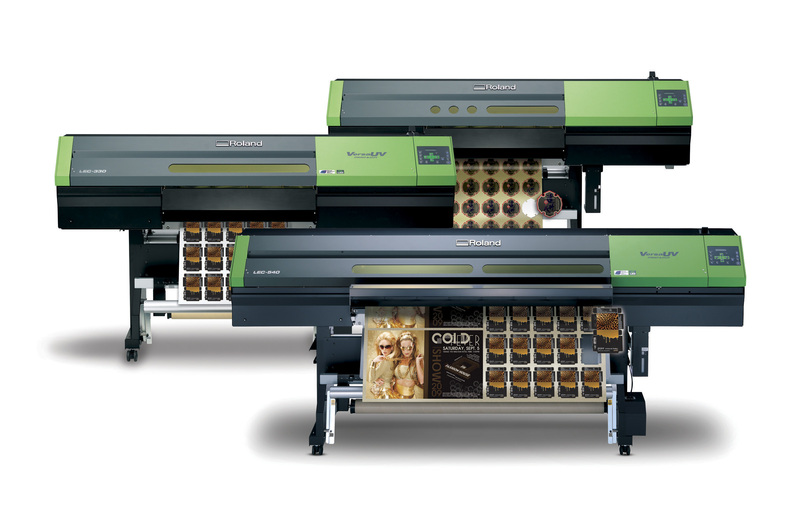 Only the VersaCAMM VS and Soljet Pro LEC can perform print/cut jobs with a takeup system! This video covers hardware and software setup for performing print/cut jobs using a takeup reel.